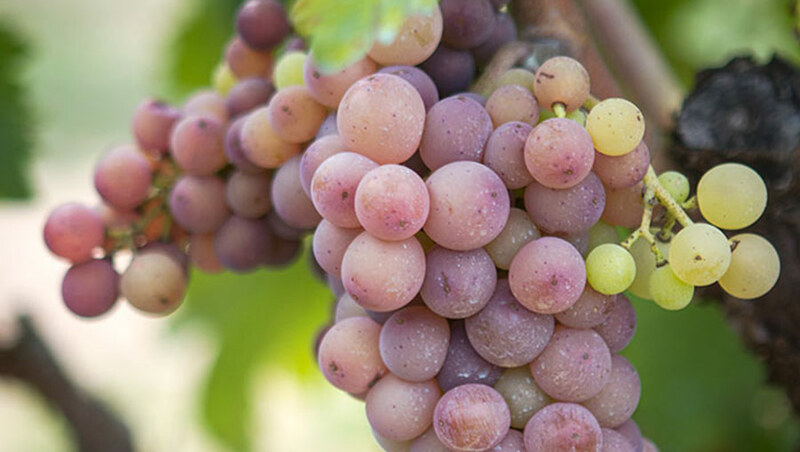 As is the case with many old European wine grapes, Grenache Gris has a number of synonyms but one of the names you very rarely hear is “Lledoner Roig”. By no means is this due to ignorance on the wine drinking public’s part as it has much more to do with how the grape has been regarded by the regional winemakers who use this old name. It’s admittedly a grape that’s generally on the decline. According to the former director of the viticulture laboratory in Roussillon, Pierre Torrès, that region at the Spanish border once lay claim to some 5,000ha in 1958 but by 2012, it had dwindled to 900ha. In Catalonia, the decline was much more marked and now there are all of 61ha in total with 60 of those in the region of Empordà. Of course as noted by Anna Espelt of Celler Espelt, there are undoubtedly more unrecorded vines of Lledoner Roig out there than these numbers let on as these vines are found interspersed with old Carignan vines. A major player in international wine this grape is not, but it has had more attention thrown its way recently due to the renewed interest in cultivating local, “native” grapes. Within the auspices of DO Empordà the winemakers typically use this name to refer to the old, bush vines in the vineyards. Ms. Espelt said that new plantings, where found, are typically called Garnatxa Grisa as something of a way to distinguish these newer clones that are French in origin. This nomenclature isn’t always adhered to and the terms are often used interchangeably. There are precious few vineyards which are comprised of only Lledoner Roig. As the story more often went, when one of the Carignan vines would die, peasants of yore would plant one of these Lledoner Roig vines in its place as it’s a vigorous grape. Historically these grapes were then used in the quite exquisite dessert wines of Empordà but several cellars, including Espelt and Cellers d’en Guilla are now focusing on single varietal dry wines from the grape. The dessert wines most gratefully persist however. A tasting organized by local wine connoisseurs, Jaume Pallàs and Ramon Roset was held in May at Espelt allowing the various winemakers in Empordà to showcase the new wines they’re making with this grape. The ten wines of the tasting showed that the grape is still something of a mystery. Styles were all over the map and while most chose to make a white wine from this pink grape (“roig” means “reddish” or “ruddy” in Catalan and is often used to describe sunburnt tourists), there were two rosés in the crowd as well. It makes it hard to generalize how the grape “should” taste although most wines showed fresh citric notes and were able to stand up to barrel or amphora aging. The question of whether it’s better when blended like the Roussillon wineries often do by pairing it with Macabeu is an answer that people should seek out by tasting the wine on its own. Is there a future for this grape in this region? At this point it’s most definitely not going to go away as it has silently been part of the winemaking for nearly a century in some of the oldest vineyards. The real question for the winemakers is to come to some form of consensus as to what they’re looking for as a group. This is tied in to the need to show to those who come to the region thinking it’s just sun and seafood that there is also a vibrant, adventurous winemaking scene to discover as well in Costa Brava & Empordà. As is the case with highly finite comparative tastings, I’ve used the 20 point system instead of the three star system typically found.